If you are paid on a salary basis, you may not have concerns about how you are classified by your employer. However, entitlement to overtime compensation is not determined based on your job title or how you are paid, but rather, by whether you are classified as “exempt” or “non-exempt,” which is based entirely on your job duties and responsibilities. Employee misclassification is widespread in the U.S. and, while it can be an honest error by your employer, employers often intentionally misclassify their employees as “exempt,” such as by labeling the employee as a “manager,” solely to avoid paying overtime. When employers are caught categorizing their workers unlawfully, employees are entitled to recover unpaid wages. You should consult with a New York Minimum Wage and Overtime Attorney for more information, but here’s what you need to know about misclassification. The Fair Labor Standards Act (FLSA) provides that employers must pay an overtime rate to employees that work more than 40 hours in a workweek. That rate is calculated as 1.5 x your regular rate of pay for the excess hours, whether you are paid on a salary, hourly, daily or shift basis. There are a few different ways employers misclassify employees in order to avoid paying the more expensive overtime rate. Convince you that, as a salaried employee, you are not entitled to overtime. All of these misclassifications violate the overtime rules under federal law, though the specifics depend on the exact circumstances of your case. Even if you are paid a set salary, you may still be entitled to overtime under the FLSA. Currently, if you are a “non-exempt” employee, and you earn less than $23,660 annually, your employer must pay you overtime compensation for hours worked over 40 each week. However, a recent change in the law might affect your eligibility. Starting in December 2016, if you are a “non-exempt” employee, and you earn less than $47,476 annually, your employer must pay you overtime compensation for hours worked over 40 each week. In other words, you may not qualify for overtime because you make more than $23,660 now; but, starting in December, you will be eligible if your salary is under $47,476. Employers may attempt to misclassify you to avoid paying overtime to a larger group of employees, those who make up to the new threshold amount. You may be able to recover unpaid overtime pay if your employer violates FLSA requirements. The Secretary of Labor has the power to bring a lawsuit on your behalf, or you have the option of hiring a lawyer to sue your employer. If successful in proving your case, you can obtain unpaid overtime pay, liquidated damages, attorneys’ fees and court costs. 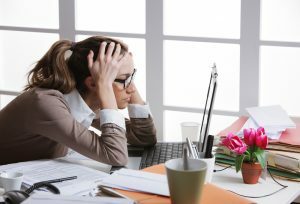 The FLSA may allow you to recover overtime if you’ve been misclassified, but return of the funds to you is not automatic: You must pursue your legal remedies. Plus, the law is complicated, which is why you should retain an wage and hour attorney in New York to help you obtain the wages you are legally entitled to receive. For a Free Consultation, contact the experienced lawyers at Cilenti & Cooper, PLLC.